1 Fry the bacon in 1 tablespoon of oil in a hot pan until golden brown and crispy. 2 Add the remaining vegetable oil in a hot frying pan. Break the eggs and let gently slide into the pan. 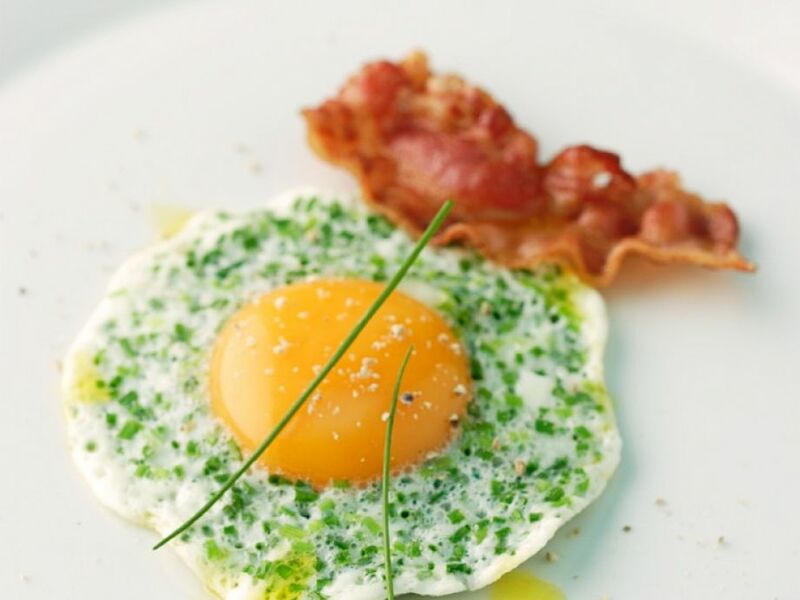 Immediately sprinkle the egg white with chives and fry the eggs slowly at not too high temperatures. 3 Season the eggs with salt and pepper. Place on a plate and drizzle with a little olive oil. Drain the bacon on paper towels, place on the eggs and serve immediately.